Yellowstone is the best place to photograph wildlife. There are bison, elk, eagles, bear and wolves. I have been lucky enough to enjoy photographing some wonderful animals. 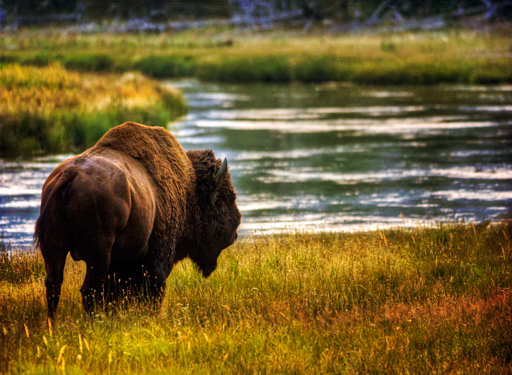 I followed this huge bison along the Madison River at sunset. He was headed to the barn and I couldn’t get a shot of his head. 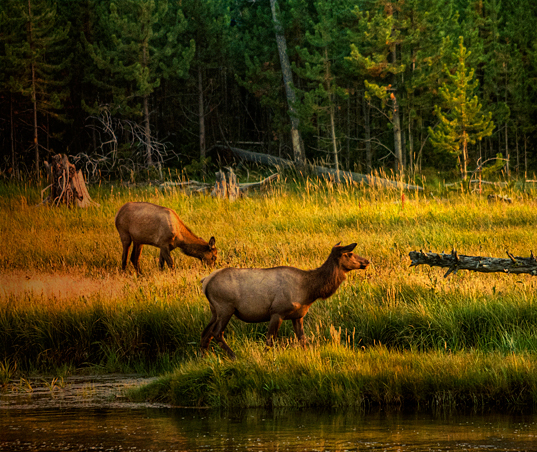 The elk where peacefully grazing along the Madison River at sunset. Two minutes after I shot this, they were bedded down for the night. 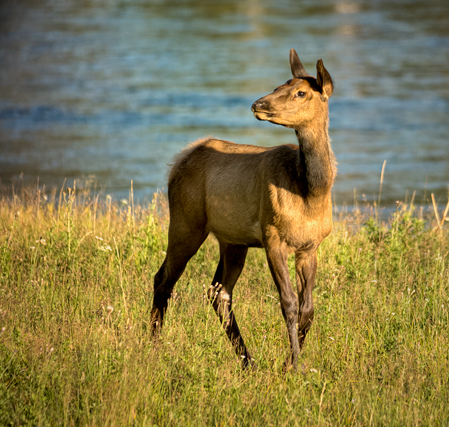 This young elk was grazing along the Madison River but was alerted by a group of noisy tourist. It was a shushhhhhh moment. 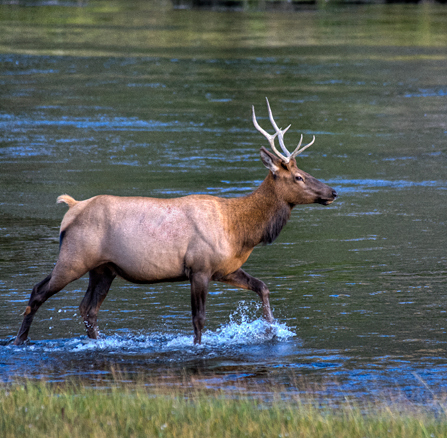 This young buck elk was crossing the Madison River to get to a small island where he bedded down for the night.